The process of creating a new network case is essentially the same as the creation of a regular new case. The only difference is that the network case has to be linked to a network pixel manually, while a regular case is automatically connected to its advertiser pixel. Some cases are used to create audiences for reporting and retargeting purposes, while other cases are created to track events. For more detailed information about cases, check out the cases article here. First thing to do is to create a new case. To do this, first select your advertiser and navigate to the "Tools > Network Cases" section in the left navigation bar. In the top right, click the "+" button to start configuring your first case. 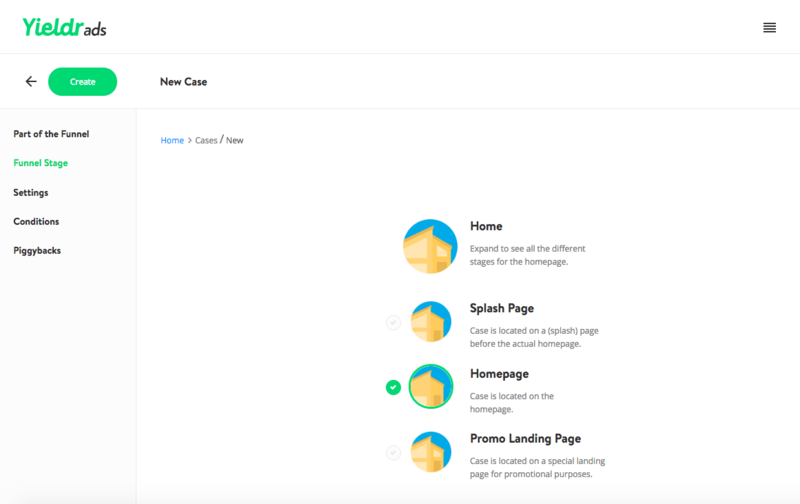 Is your advertiser case part of the sales funnel? 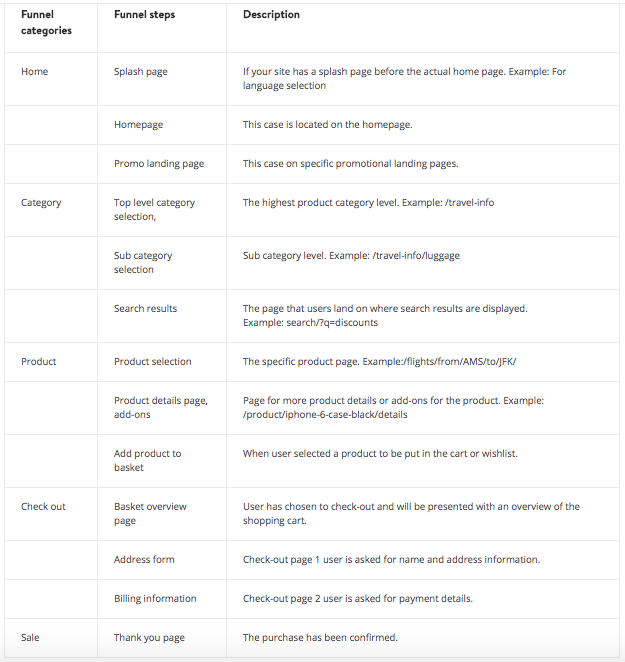 Select whether your case is located somewhere on an advertiser's website. Yieldr has standardized advertiser's sales funnel levels to a maximum of 13 levels. 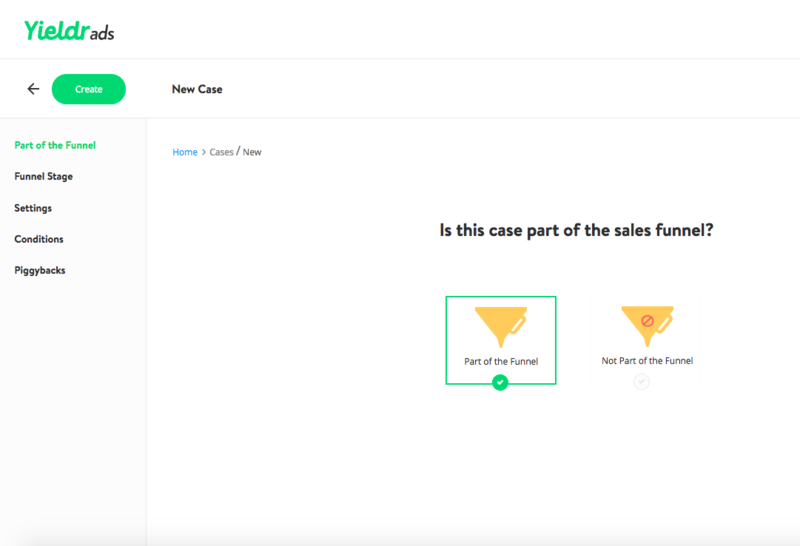 When you mark a case as being part of the sales funnel, this case can be used both for optimization and reporting purposes. Name: Use a structured naming convention, like for example: "Advertiser - Tag Name - Segment Name." Name: Use a structured naming convention, like for example: "Advertiser - Tag Name - Segment Name". 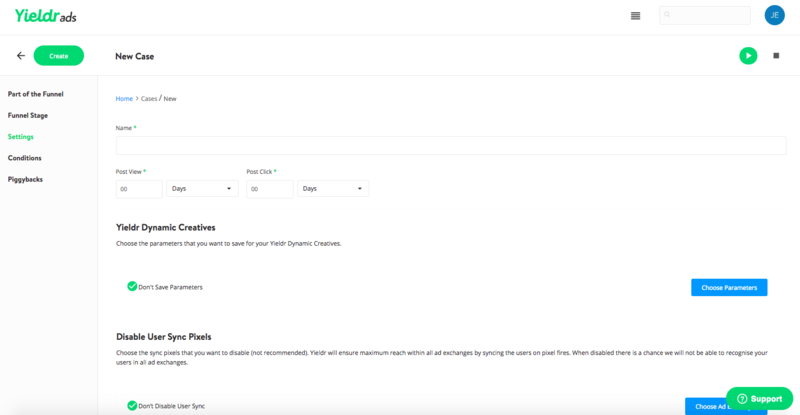 Parameters: When creating advertiser cases, you may use all parameters which you earlier configured during the configuration of your Tag. Operators: If you select one of the default parameters, you may choose from the complete list of operators. This list contains operators like "greater than", "contains" & "after". You can also use these operators on custom build parameters, if you have selected the right right operator type. For example "greater than" only works on numbers based parameters. Values: When filling in parameter values, make sure you use the exact same format as used on the advertiser's website. The final step and the one that differs from creating an advertiser case, is linking the network case to the network pixel. Navigate to your "Network Pixels" in the left hand navigation, under "Tools". 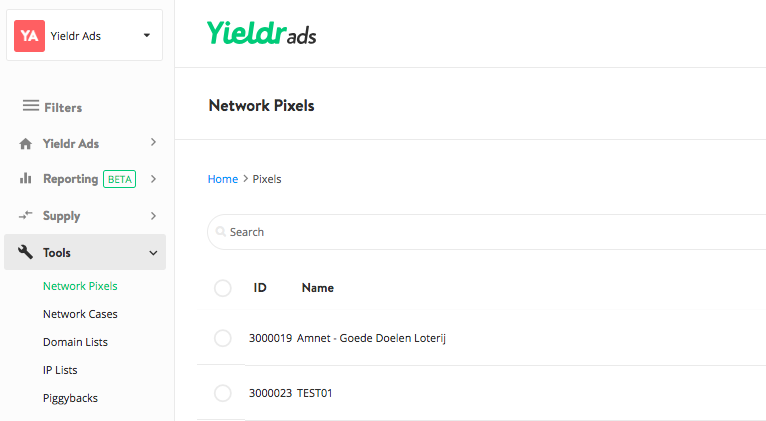 Then navigate to "Connect Audiences" and simply type the new Network Case ID in the search box and click the right pixel. When you've selected all network cases you want to add, click the green "Save" button at the top left and your network case will be added to your network pixel and you will be able to use it in you campaigns.